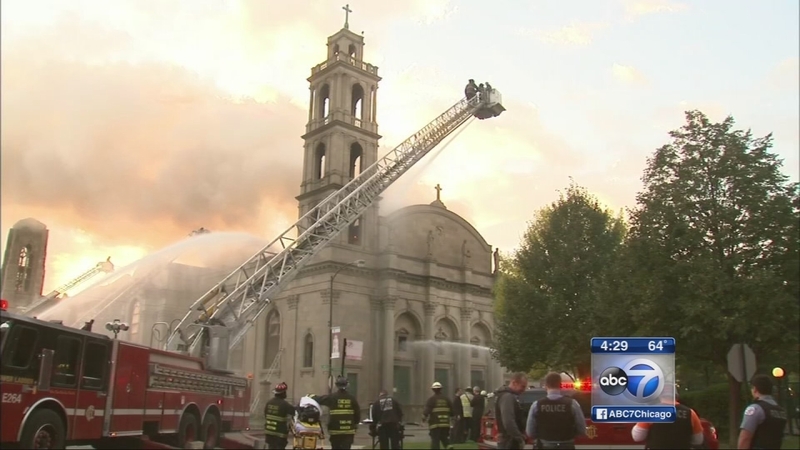 CHICAGO (WLS) -- Fundraising efforts are underway to try and help a historic South Side church rebuild. Christ the King in the Woodlawn community was severely damaged Wednesday in a massive fire. Investigators say spontaneous combustion in some varnished covered rags is to blame. The church has launched a GoFundMe page for collections.